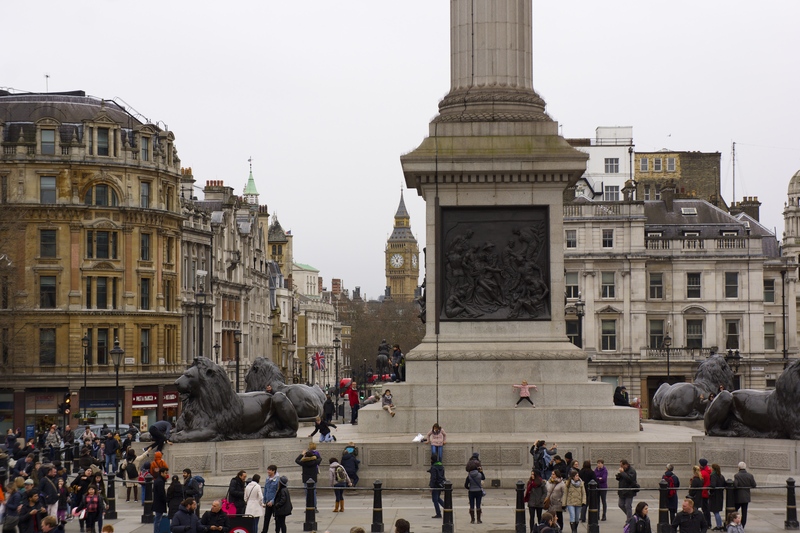 Trafalgar Square is one of London’s most important gathering points. Whether friends meeting up or an important cultural festival, the Square named for Horatio Nelson’s important victory against Napoleon is a place that everyone knows. It is also surrounded by important places and attractions and can be a starting point for any adventure in the city. 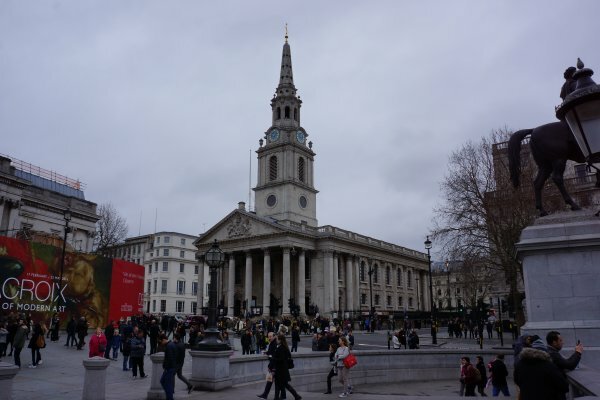 As such, we’ve managed to outline ten of our favorite places to visit with a short walking distance from Trafalgar Square for you to see. You can also let us know your own nearby favorite venues in the comments. No longer in use as a police station, this tiny building, no bigger than most police boxes, was made from a hollowed-out lamppost in 1926 and used to keep an eye on demonstrators in nearby Trafalgar Square. It was just large enough for one officer to be stationed inside and had a direct line to Scotland Yard in case reinforcements were needed. Three out of the four plinths, or pedestals, are dedicated monuments to some of the nation’s greatest figures such as General Sir Charles James Napier, Major General Sir Henry Havelock, or King George IV. 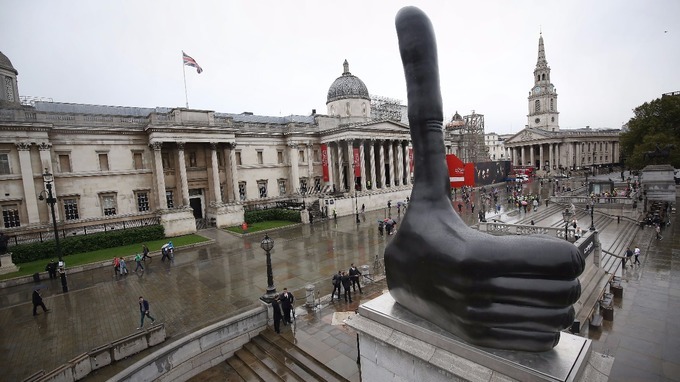 The Fourth Plinth, however, is dedicated to the public, and as such features a different piece of public art that changes regularly. Sometimes this has even included performance art or citizen demonstrations. The art tends to change every two years, so the next time you come back, it may be completely different. 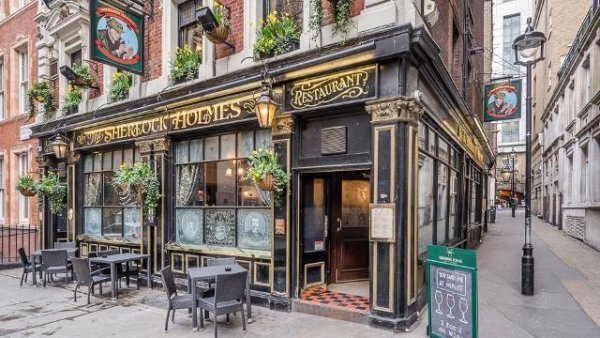 If you can’t make it to Baker Street for the Sherlock Holmes Museum, the Sherlock Holmes Pub near the Square is an excellent substitute. In addition to getting yourself a pint and some great traditional British pub food, you can check out the upstairs room that’s been redecorated to look just like Holmes’ and Watson’s flat at 221 B Baker Street. Originally coming to London in his youth to learn the printing trade, Benjamin Franklin returned as a representative for the Virginia Colony and staid in this house for several years until the advent of the American War of Independence summoned him home. 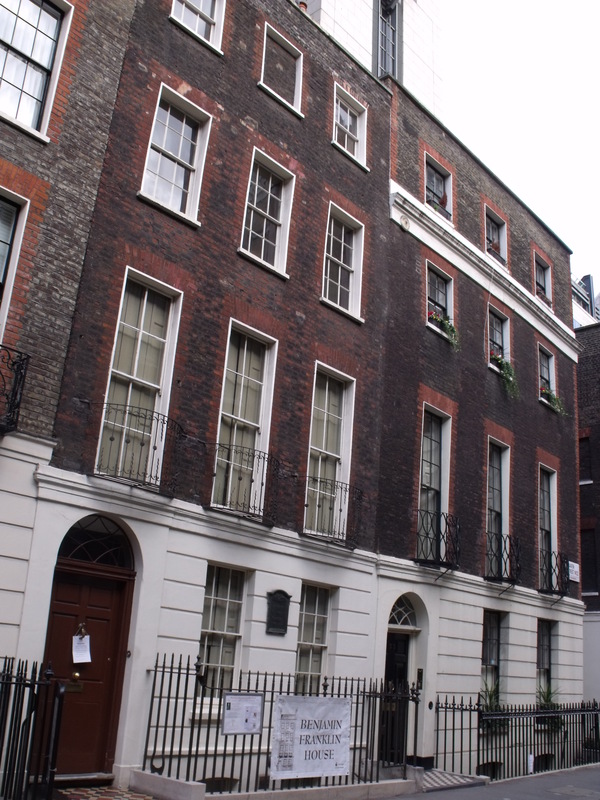 The house is now a museum dedicated to him with several artifacts related to his time in London. 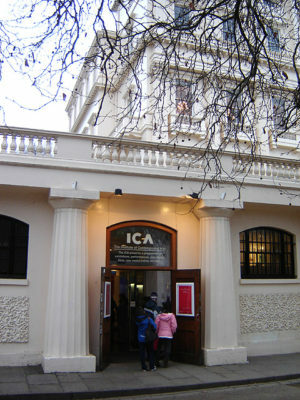 Just off the Square is the artistic and cultural center known as the Institute for Contemporary Arts. It was established in 1947 to be a place outside the stuffier intellectual confines of the Royal Academy where writers, artists, and scientists could debate and collaborate on important issues. 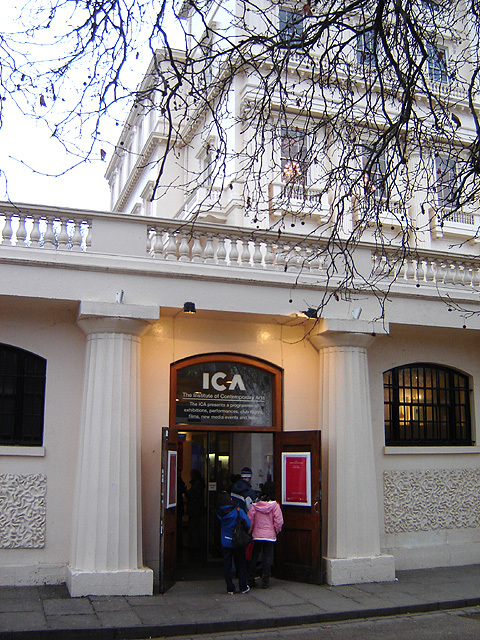 The ICA is open to the public and regularly puts on exhibitions in science and the arts. Just across the street from another entry on this list is the London Coliseum. Home to the National Opera, this performance venue is a Grade II listed opera house that opened in 1904. 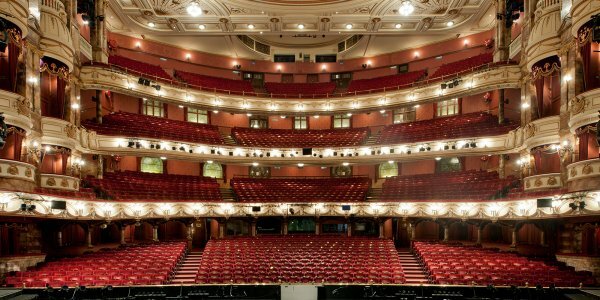 In addition to the National Opera, the Coliseum puts on a number of other shows as well from Shakespeare to the English National Ballet. Be sure to check the calendar to see what’s on and plan your visit accordingly. At the center of Trafalgar Square is a monument to the man who made the victory at the Battle of Trafalgar possible. 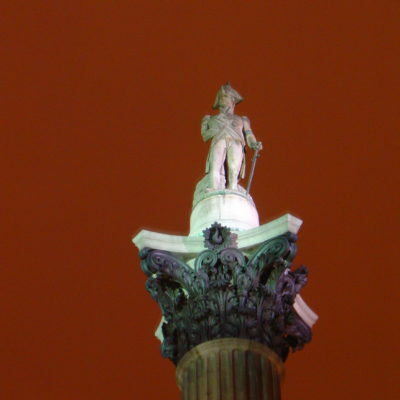 Nelson’s Column is dedicated to Admiral Nelson and stands at 169 feet, 3 inches tall, capped with a statue of Nelson. 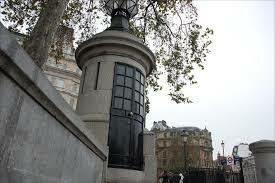 At its base are four lions as well as reliefs of his various naval victories. It’s a great piece of artwork to admire or to simply use as a meeting spot that everyone will know. A church has been on this site in Trafalgar Square since the Medieval Period, and the current church was constructed from 1721 to 1726 in a Georgian style. Besides being a wonderful piece of architecture and a working church, St. Martin’s also regularly puts on concerts and has a lovely café in its crypt. The church is also a wonderful place for art, often hosting gallery exhibitions as well as its own unique East Window. 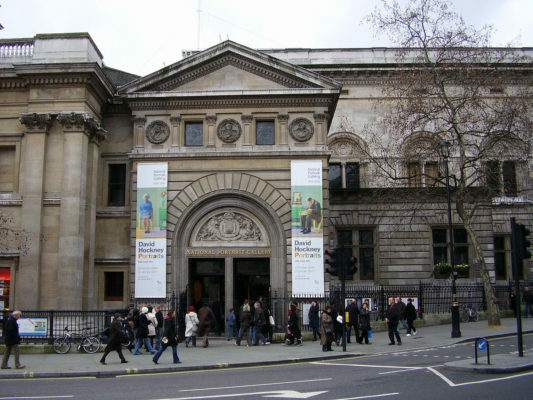 Certainly amongst our top two is the National Portrait Gallery, the repository for most of the UK’s great paintings featuring national figures from William Shakespeare to David Beckham. The museum features a range of exhibits from the early photography of the Victorians to the influence of Michael Jackson. Admission is free, but some special exhibits may require a ticket. 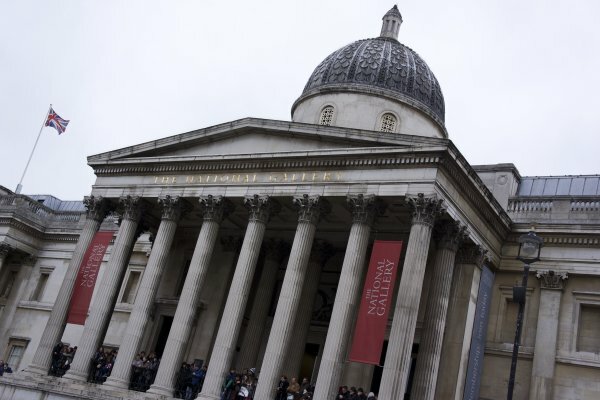 The premiere art gallery in the United Kingdom, the National Gallery was established in 1834 and today contains over 2,300 pieces of art. In addition to exhibits featuring the world’s greatest painters like Monet and Van Eyck, the National Gallery also regularly puts on lectures, workshops, and activities for all ages. Whether it’s your first stop on visiting Trafalgar Square or your last, you definitely need to make sure it’s included.